Banking industry has taken the driving seat in economy of every country. Owing to the increased role of banking in the local and international arena, importance of factors that have played important role in determining the banking business conduct has alongside increased incrementally. Among referred factors risk in the banking industry has also gained incremental attention. Risk can be defined as the probability of unfavorable results from market. Highly regulated banking industry has already paid special attention to risk management. However, the concerns for the same rose higher as the intensely sophisticated and complex risk management systems have significantly failed in sustaining the banking as well as economic downturn. Would you like that someone made a critical review writing instead of you? Trust this work to professionals at Pro-Papers writing service and be happy with the result. With these factors influencing the work and operations, the role of dynamic risk management in the banking industry has undergone significant scrutiny. The underling research is an attempt to explore the role of various risk management components in dynamic risk management in the banking industry. Questionnaire based research has concluded that there is a need of increased attention on improvements and better implementation of already developed risk management mechanisms and techniques along with improvements in the auditing and compliance management of banks. The results have also asserted the role of monitoring friendly information system in the risk management system in banks. Hence, for future safety of banks from shock such as 2007-08, the role of risk management and information systems need to be enhanced along with better implementation of policies. Over the last decades the banking industry has suffered from dramatic loses. Well performing and huge banks such as Lehman Brothers have suffered big losses particularly because of the high risk exposures, interest rate variations, and innovative financial instruments such as derivatives and off-balance sheet financing. In response to these big losses, the banks have almost universally gone on board for advancement in risk management and control system. Factors that derive the risk are increasing with passage of time and creating new challenges for the financial institutions and banks to manage the risk with complete command and control. The major risks that are involved in the banking sector include credit risk, operational risk, market risk, environmental risk and regulatory risk and other types of risks. In order to reduce and mitigate impact from all these risks, the banks need to determine a system which would comprehensively manage such risks (Bessis, 2011). This study is designed to investigate the “Dynamic management of risks in banking industry”. This study is aimed to consider and analyze the day to day challenges faced by banks in formulating strategies for future which are completely based on forecasting of the market risk. The dynamic management includes role of latest technology, expert management skills, risk diversion strategies, policies and procedures and tools used by banks to manage and mitigate the risk. Risk management is highly important for banks as in actuality, continuous survival of a bank depends very much on its potential to proactively calculate its risk and how it would be managing these risks. It is critical for banks to be prepared for the changes instead of waiting for the uneven conditions to arise and counter to it. The purpose of risk management is not to forbid or avoid risk taking, but to confirm that the risks are intentionally taken with entire information, purpose and clear consideration so that it can be countered and improved. Improper risk management can cause great decline in the performance of a bank and can destabilize the position of bank in the fast growing competitive environment (Jaafari, 2001). In the presence of all these circumstances this study identifies the “dynamic management of risk in a bank”. Risk management has been among the most widely discussed topics in the financial literature. Financial institutions have increasingly become concerned on improving mechanisms for risk management and increased attention has been given to the driving forces of risk in the industry. In the presence of this prevailing situation in the business environment, there is a strong need of such a system that will minimize the risks effectively and efficiently. The management plays a vital role in managing any part of the organization and especially the managers in the banks are responsible for multiple functions with risk management being one of the most emphasized domains (Rosenberg & Schuermann, 2006). Several components and types of risk have been discussed in the report along with the impact of these components on the banking industry. The study is designed to approach and structure the dynamic management of the market risk in the banking sector. This approach is helpful in determining the future risk at an initial stage and will make the banks capable of responding to the upcoming risk in present time and make adjustments in the plan and policies to minimize the impact of risk on the organization. Study discussions includes elements of risk management system, market risk management system and practical approach to defining appetite and role of core and supporting factors in managing risk. This research is helpful for the risk management professionals that are working in banks to develop the structure of dynamic management of risk factor for the future uncertain events. Recent economic downturn has greatly influenced the dynamics of world in doing business. The first wave of the economic shake was originated from US when banking giant Lehman Brothers filed bankruptcy. Hence, the magnitude of the impact on banks and overall banking business has been extensively high. Among various factors, the dominant factor being discussed was excessive exposure to high risky investments that ultimately resulted in weak financial performance of the company. Since then, risk management in banks is undergoing scrutiny extensively (Rosenberg & Schuermann, 2006). In such scenario, the underlying study has rationale to contribute the review of banker for the mentioned discipline. Risk is defined as the probability of loss or unfavorable results in any activity which is aimed at achieving a certain objective. Despite of the fact that risk is present in almost all activities and investments, the role of risk assessment and dealing with risk has been increasingly highlighted in financial institutions. Specifically, the banking sector is among the highly regulated industries for mitigating risk factor as a matter of fact that banking involves public money. Hence, risk management framework in the banking industry has been among the most discussed aspects in the financial literature (Iannotta, Nocera, & Sironi, 2007). Moreover, researchers are still doing research on topics related to risk management and banking industry. Banks have to face countless types of risks. Some of the risks arises from the nature of products that banks deal with, some of the risks come from public dealing while some risks that banks face originates from environmental factors. 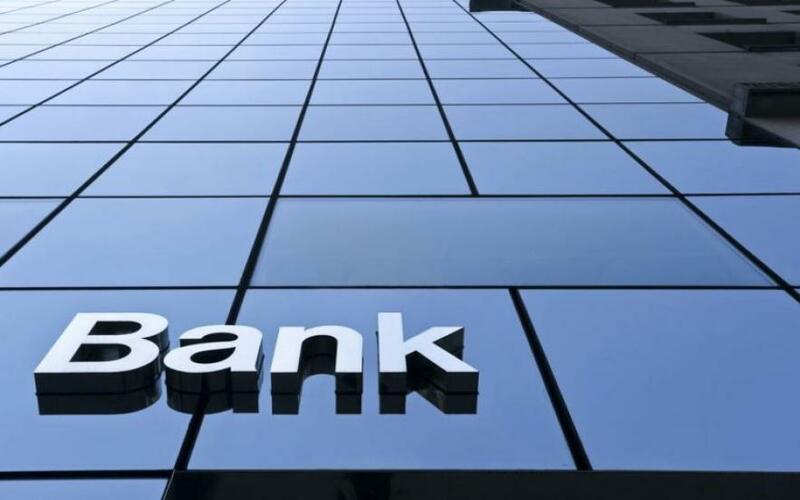 Across banking industry in the local market as well as in global scenario set of rules have been devised and are constantly being revised to review and assess risk management in the banking sectors. To mention Basel Committee develops guideline that the banks need to follow. Banks across the world develop mechanism consisting of rules, regulation, policies and policies adhering to the risk management requirement from Basel Committee (Elsinger, Lehar, & Summer, 2006). Risk management in banking industry involves comprehensive and complex framework that has many dimensions. Moreover, each of the dimensions of the risk management in the banking constitutes an entire field in itself. The top management or strategic management of the bank originates the mechanism for risk assessment and risk appetite capacity of the bank. The broader guidelines are set by the top management and then these guidelines are translated into rules and policies. These rules and policies, once developed, are followed by entire banking system depending upon respective role. These frameworks are implemented across the board through the Information system of the bank. Banks audit its processes in order ensure that set guidelines are followed in due diligence. Hence, risk the management in banking industry is given excessive attention as it can have a direct impact on the performance of the banks (Cebenoyan & Strahan, 2004). - Finding out the factors that majorly influence the risk faced by banks. - Assessing the role of technology in dynamic risk management in baking industry. - Finding out the relation between the strategic goals, management, and other important players in risk management of the bank. What are different types of risk present in the banking industry? Does dynamic management of risk factors offers some additional security against risk? What is the role of different players in managing the risk dynamically in the banking industry? How significant is dynamic risk management for attainment of an organization's objectives? The approach used for the research is inductive as risk management's role in banking industry has been proven and the underlying research highlights the dynamics in current scenario. Both types of data, primary data and secondary data have been used in this research to analyze the practices in the banking industry. Primary data is collected through the questionnaire from bankers at various levels. The questionnaire has been helpful in generating bankers' opinions about managing the market risk in bank. The secondary data is collected from academic and professional literature developed in the domain of risk management. Have no idea how to deal with MBA essay writing? Then, it is high time to look for a good MBA style guide at Pro-Papers website. The research study is based on determining the dynamic management on the market risk of banking sector. The underlying chapter develops the introductory review of the risk management in the banking industry. The chapter sheds lights on the overview of the study along with objectives to be achieved from the study.. The literature review section of the report discusses about the overall environment of risk management and banking industry. The discussion starts with the understanding of risk and the market risk in the banking sector and the major components of the risk in the banking industry. The chapter refers to the already developed academic and professional literature related to the dynamic risk management. Different risk management techniques have also been discussed that are used by banks. The chapter of methodology develops the roadmap for the research study. Methodology defines the guideline following which the researcher would be able to achieve its set of objectives. The chapter of methodology constitutes the strategy and tools to be used in the developing the underlying study. This chapter of report includes the comprehensive analysis of the area being identified in the preceding part of the report with reference to related literature support. This part of the report gives the conclusions illustrated from the data analysis, limitations along with recognition of future research of this dynamic management study. It also concludes the importance of this conducted research and the advantages of the research for the banking industry in terms of managerial implication. In this chapter of the research study, suggestions have been presented for the risk management system of banks in light of extracts from the study results. Suggestions regarding the improvement of risk analysis approaches along with better use of technology and company policies in managing the both internal and external risk in the banking industry constitute the chapter content.